It’s always a special pleasure to have Duo Noire back in town, and Saturday night at the Ethical Society was no exception. Classical guitarists Thomas Flippin and Christopher Mallett created a relaxed, informal atmosphere as they presented an eclectic program that included two world premières...With its incredibly transparent and lightly textured delivery, spectacular precision, delightful commentary, and a wide range of guitar techniques, Duo Noire produced another engaging and profoundly enjoyable program. After all its applause, the audience was rewarded with an elegant version of “The St. Louis Blues” which, like Piazzolla’s tango, was all dressed up for the concert hall. "Duo Noire's debut recording for New Focus Recordings, Night Triptych, covers so many bases, and speaks so clearly to contemporary realities, that it immediately qualifies for several gold stars. But once you hear the sheer musicality of its premiere recordings of six new works for duo guitar, and how wonderfully they are played, you may be tempted to award the album several more...the depth, variety, and range of colors is astounding....There's a goldmine of ideas and feelings here, whose riches will unveil themselves more and more over time." "As laudable as the project is for presenting works by female composers, it would be less of an accomplishment were its contents of only middling value, but that's hardly the case: the pieces are a varied lot that speak highly on behalf of their creators, and it doesn't hurt that the musicians bringing the material to life are Flippin and Mallett, virtuosos who invest their performances with energy and conviction. To claim that the two break new ground in the world of classical guitar music on the hour-long release isn't overselling it: deploying everything from stabs and strums to trills and taps, the guitarists consistently extend the acoustic instrument into adventurous territory without sacrificing musicality in the process." "Thanks to delving into this refreshing and musically diverse offering from Duo Noire...listeners will expand their understanding of the kinds of sounds that may be drawn from this beautiful instrument. And not only that–the Duo achieves their sonic explorations with an impeccable sense of ensemble and easy musicianship that sounds like they’ve been playing together for decades. The disc is a delight...an imaginative world full of one new acoustic discovery after another. Duo Noire transitions between extended and standard techniques with virtuosic ease, using their athletic and beautifully focused sound to project musicianship in perfect ensemble." "You might not expect much...and you would be making a major error...All-contemporary programs of guitar music are not common, and this may be the first to feature exclusively female composers. All the works were commissioned by Duo Noire, and they're a varied group...All these works include extended techniques (sample the second movement, "Shamans," of the Assad work, where a spoon is used to produce eerie guitar overtones), and the duo handles a large variety of technical demands well. Another star of the show is producer William Coulter, a guitarist himself, whose crystal clear, close-up guitar sound is absolutely exemplary. A TRULY PATHBREAKING RECORDING THAT IS GREATLY SATISFYING IN ITS OWN RIGHT." "Figments, composed by Raymond Lustig and performed by the virtuosic pair, Duo Noire (Thomas Flippin and Christopher Mallett) is a unique and entrancing album that exists at the unusual intersection of minimalism and impressive classical guitar technique...The technique in this piece, with the rapid scale passages, sounds ripped from a Rodrigo y Gabriela album, and all the talent to execute the challenging passages with it. Flippin and Mallett definitely don’t disappoint...The impressive technique displayed by Duo Noire is perfectly suited to Lustig's delicious compositions, and you wouldn't regret getting a hold of this; if you like acoustic guitar, bluegrass, minimalism, blues -or music at all- you'll definitely enjoy this excellently produced and mastered album." "...This duo seems to have a unique sound and are clearly schooled in their instruments to the point that they even seem to be expanding the very possibilities of a guitar duo...It appears to be a landmark release for identifying new composers contributing to the guitar...Above all this is an intelligent album...you have a glorious celebration of gender/cultural diversity as well as some mind blowing compositional efforts ably handled by these visionary musicians. It is admittedly unusual (though clearly not risky) to program compositions by all women composers. This is a wonderful collection with performances that are incisive and intriguing enough to leave their listeners wanting more. This is a group to watch/listen to." "Underneath that late-Romantic two-part vocal harmony, Freeman’s orchestra featured bluesy scales, gorgeously shaped on this night by the Harlem Chamber Players’ strings. Eventually, the stylistic threads converged...Throughout the night, this dynamic delivered one surprise after the next – as when [Flippin's] banjo plucked its way to a greater prominence in the orchestra, or when the rhythmic phrasing of a vocal line would close off with a subtle nod in the direction of American swing. This exquisite ambiguity mirrored the tensions at the core of the opera’s narrative..."
THE NEW YORK TIMES: 'Voodoo,’ by H. Lawrence Freeman, Has First Staging since 1928. "Years in the making, this “Voodoo,” a collaboration among the Morningside company, Harlem Opera Theater and the Harlem Chamber Players, conducted by Gregory Hopkins, is the fruit of much labor and love...And passages of the score, an intriguing if overcautious mixture of traditionally operatic and folk styles, are lovely: [Flippin's] banjo’s plangent astringency and the saxophone’s croon cut effectively through the textures of a standard orchestra." "Your collaborators on this album, like with guitarist Thomas Flippin and the band Harriet Tubman, are impressive." - Robert Ham (January 4, 2018). "Mezzo-soprano Alicia Hall Moran, jazz pianist Jason Moran, and classical guitarist Thomas Flippin, of New York, performed jazz, classical and spiritual numbers...at the conclusion of his wife's vocal numbers, Jason Moran...delighted the audience by playing Fats Waller's version of "The Sheik of Araby." Flippin followed by mimicking several instruments on his guitar as he offered an amazing version of 'The Prince's Toys' by Nikita Koshkin." -June 10, 2018 by Kimberly Burk. "In the ten years since classical guitarists Thomas Flippin and Chris Mallett formed Duo Noire, they have become trailblazers." "The opening Casseus trilogy is great stuff....these indeed, are three little gems...The Brouwer pairing is always a winner...tuneful and warmly evocative music [that is] beautifully played here...The Mompou...remains one of the 20th Century's most beautiful and original guitar works [and] Flippin does it full justice...With Flippin's own pieces...there are many beautiful moments...A fine recital with some attractively performed and recorded music." "On Friday, June 21, at Manhattan’s Highline Ballroom, Hall Moran reprised her critically acclaimed motown project, a surreal reimagining of classical, soul and pop music that laid Mozart and Marvin Gaye side by side over the strange brew of husband Jason Moran on Fender Rhodes, Tarus Mateen on electric bass, Kaoru Watanabe on the ancient Japanese taiko drums and bamboo flute, Thomas Flippin on guitar and theorbo (a towering, largely outmoded lute) and the baritone Steven Herring. It should have been a sendup. Instead, the result was a kind of musical decanting...making dust-covered arias sweat and steam..."
"Figments is a substantial piece over half an hour in length...At times the effect is similar to the early minimalism of pulse-pattern works, but fragmenting much sooner than the music of Philip Glass or Steve Reich & Terry Riley...captured in crystalline sound...both composer Lustig and Duo Noire are to be congratulated for their work. I look forward to hearing more from them." "This group was short on strings and heavy on brass, but individual touches made their effect. Melodies from [Flippin's] banjo (sometimes as continuo, sometimes as local color) were echoed by harp, as if caught by a breeze in the willows." Needy schools benefit from nonprofits bringing guitars into the classroom...The St. Louis Classical Guitar Society didn't get involved in the Ferguson protests, but took the message of those signs to heart nonetheless...[and] instituted the Ferguson Guitar Initiative...Students of Johnson Wabash Elementary School in Ferguson Missouri pose with Artists-in-residence Thomas Flippin and Chris Mallett of Duo Noire. Feature story about Flippin and the guitar and working towards increasing the representation of underrepresented voices in the field. "[Alicia Hall Moran's] debut album, “Heavy Blue,” runs less than 40 minutes but covers some ground, moving with purpose through an African-American spiritual, a Duke Ellington overture, a Renaissance lute song and a few emotionally potent originals...she understands what a bit of ragged intensity can do and she seeks out provocative partners." THE NEW YORK TIMES: Art, Ancestry, Africa: Letting It All Bleed. “Bleed” was neither about jazz nor about opera, per se, though it contained some of both, and much else: film, video, dance, poetry, lecture, diary, journalism and alternative medicine. It offered 26 performances, including Ms. Moran singing operatic arrangements of Motown songs backed by harp, piano, [classical] guitar and percussion...“Bleed” was pretty extraordinary in breadth, depth, planning and execution. "A groundbreaking record...Heady stuff that opens the ears in fine style." -5/23/18. "I’ve spent more than a few hours back in Chicago listening to the videos on Thomas’s website. Who knew guitar could sound this glorious?" 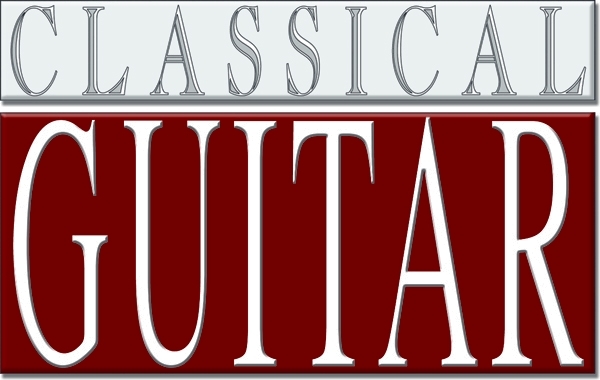 Classical Guitar Insider Podcast with Bret Williams. Discussing the state of guitar as well as race, gender, and class dynamics in the field. "An amazing job! Flippin was very professional and really understood the nature of the series. His playing is musically compelling and precise, with good stage presence and great contact with his audience. I look forward to the next time." "What a pleasure it was having Duo Noire on our series. Not only was their musicianship brilliant , but also the diversity of their programming was exceptional. The two provided delightful on-stage commentaries, adding tremendously to our audience's appreciation of each selection. How gratifying it is to see young artists so devoted to their craft." "His performance was outstanding - skillful technique, beautiful repertoire, & sensitive interpretation." "an extraordinary performer...they loved him." -Patricia Fahy, VP, Windsor Art Center. "Thomas Flippin and Chris Mallett of Duo Noire are the kind of teaching artists that the guitar world desperately needs now. They’re both fantastic recitalists and teaching artists, equally loved by students and community audiences alike. Reach out to them—they belong on your next series!" "...It was clear that he is an excellent performer and guitarist...This is a guitarist who I am certain will do remarkable work in his field." -Benjamin Verdery (2007), Prof. of Guitar at Yale University. "transitions so artistically created, thanks to the subtle magic of Thomas Flippin's classic guitar." -Destination Chelsea, Friday Night in The Kitchen. "Duo Noire were impeccable...charming musicians performing gorgeous, slow-blooming, stereophonic.guitar music. Everybody fell in love with them." "Duo Noire bring a creative artist's vitality to all the music they perform, as if the music were being written before your very eyes."